In spite of the 85o temperatures, MEPN students had a terrific hands-on experience at diabetes camp this week. 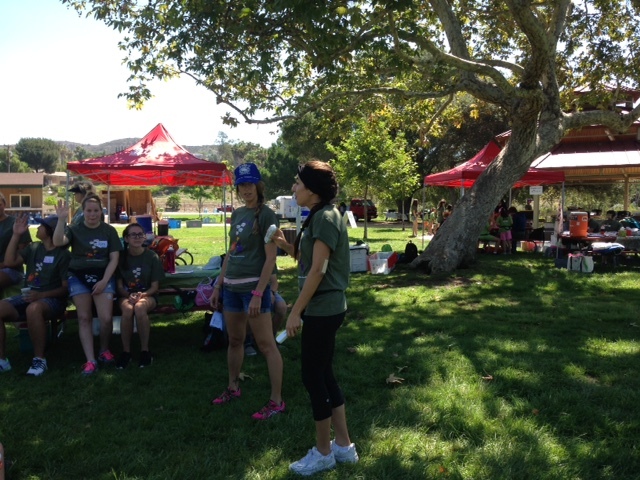 The American Diabetes Association’s Camp Wana Kura day camp is held alongside the lakes and under the trees at Santee Lakes Recreation Preserve in San Diego County. Campers, ages 5 to 12, play water games, sing songs, run relays, do crafts, swim, go paddle boating, learn new things and connect with other kids living with diabetes, while building new friendships and learning diabetes related skills. 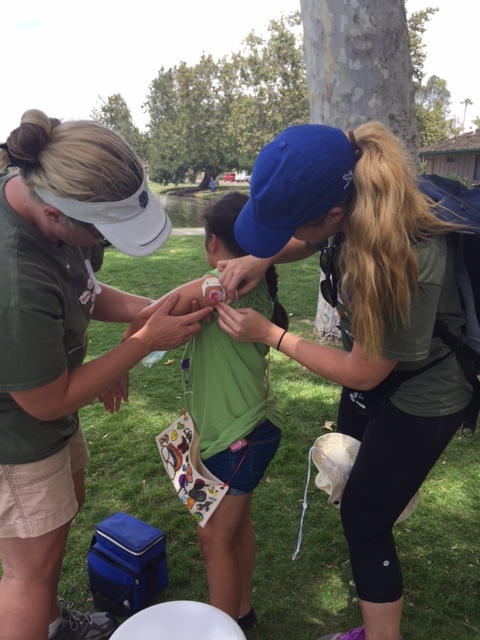 MEPN students spent most of the day counting carbohydrates, calculating insulin doses, administering insulin, and assisting campers with insulin pump set changes. 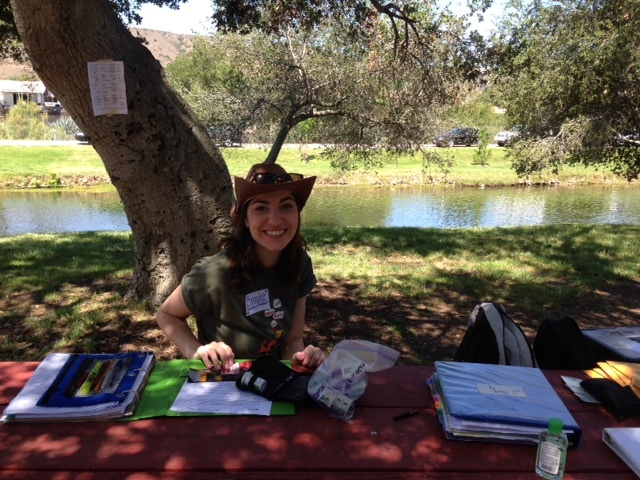 MEPN student, Brooke Garcia commented how impressed she was interacting with campers about insulin management. She couldn’t believe how aware campers were of small changes in their activity and how it impacted their blood sugars. MEPNs, Nicole Hall and Meghan Carey went around to all the campers and taught when and how to properly administer glucagon. Their ‘road show’ was a bit hit with the campers and staff, alike. Haley Wardrop jumped right in and spoke with parents about their camper’s blood sugar from the previous night and how she might have to alter the insulin dose for the day. By 9 am, Hayley had already checked more blood sugars then she would normally do throughout the entire semester, when in the hospital. The MEPN students were a great addition to the overall success of camp and really applied theory to practice. Well Done! Many thanks to Professor Jennifer Combellick and Dr. Semino-Asaro for attending camp and assisting students with diabetes management. This entry was posted in Uncategorized and tagged MEPN class of 2016. Bookmark the permalink.